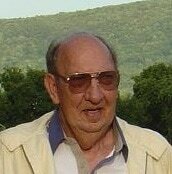 Lawrence C. Jensen Jr. - Howard B. Tate & SonFuneral Home, Inc.
Debary, FL- Lawrence C. Jensen Jr., 83, former Town of Grafton Supervisor and resident of Grafton for 38 years and Debary, Florida since 1999, passed away peacefully on Good Friday, April 14, 2017 at the Florida Hospital, Fish Memorial Hospice Care in Orange City, Florida following a brief illness. Born in Valley Falls, October 8, 1933, Mr. Jensen was the son of the late Lawrence C. and Isabel (Powell) Jensen Sr. and for 53 years the devoted husband of the late Sandra J. (Chase) Jensen who predeceased him February 11, 2008. After finishing High School, Mr. Jensen worked as a dairy farm hand at the Dr. Chase Farm in Pine Plains NY, from 1949 until 1951. 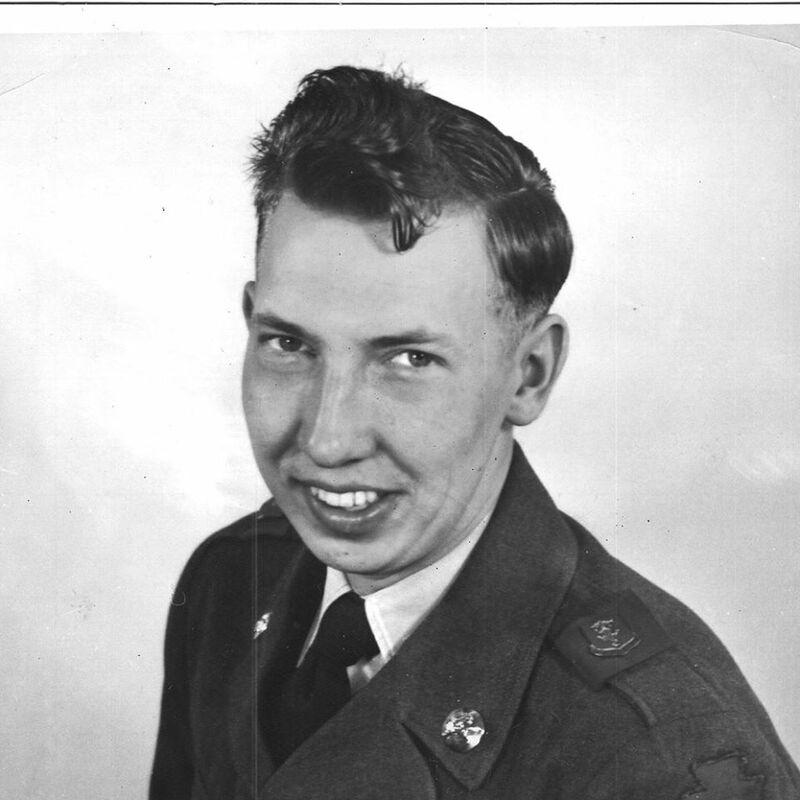 On March 21, 1951, he enlisted in the United States Army and quickly earned the rank of Private First Class. After seeing his potential for leadership, his superior officers sent to the armory training school and the non-commissioned officers academy. He earned the rank of Staff Sergeant on September 18 1952 and was sent to Europe to serve for 2 years as a tank squadron commander in occupied Germany. On February 18, 1954, he was honorably discharged after more than three years of service. Upon returning home he was employed by the Berlin Central School District as the Superintendent of Buildings and Grounds for several years. Mr. Jensen began a position with Machnick Builders Ltd. Company in Green Island as a construction team supervisor and retired in 1997. Throughout his life, Mr. Jensen was active in the Grafton community and served as Town Supervisor from 1972-1977 and 1980-1982. He was a member of the Grafton Fire Department and the Grafton V.F.W. Post #6340, served with the Grafton Volunteer Ambulance Squad, was appointed and served for several years as Constable for the Town of Grafton and as a Boy Scout Troop Leader from 1961 - 1967. In his quiet time, he enjoyed Camping with his family on Saranac Lake and Lake Champlain, playing dominos and cards and most recently wintering in Florida and summering up North. Mr. Jensen’s survivors include Lawrence M. Jensen of Petersburgh, David and Darlene Jensen of Ft. Edward, Deanna LaVoie of Debary, FL and Sandra Jean and Lance Maxon of Brunswick, nine grandchildren, thirteen great-grandchildren and several nieces and nephews. In addition to his parents and wife he was predeceased by his three sisters, Eleanor Vokins, Dorthea Goodermote and Mary Lou Fogarty. A funeral service will be held on Thursday, April 20, 2017, at 7:00 P.M. at the Howard B. Tate & Son Funeral Home Inc., 2237 New York Route 7, located in Raymertown with Rev. Dave Martin officiating. Relatives and friends are invited and may call at the funeral home on Thursday, from 4:00 – 7:00 P.M. prior to the service. Burial at Elmwood Hill Cemetery in Troy will take place on Saturday, April 22, 2017 at 9:30 A.M.
​Memorial contributions if desired may be made to the Grafton Fire Department, P.O. Box 134, Grafton, New York 12082 in memory of Lawrence C. Jensen Jr.